Powered by three 18650 cells, the iStick TC200W delivers a huge amount of vapor at 200w maximum output. 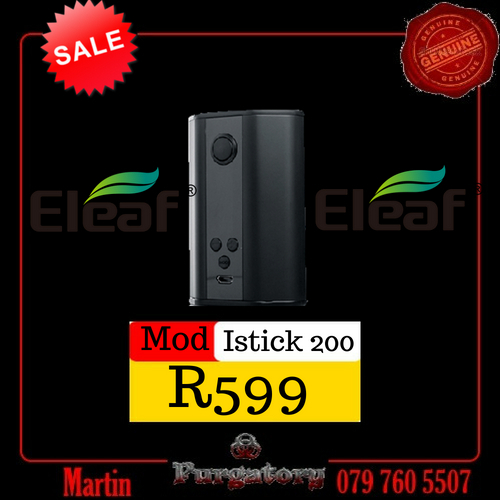 Powerful yet intelligent, the iStick TC200W packs with upgradeable firmware and TC(Ti/Ni/SS/TCR)/VW modes for your preference. In addition to the unique design of flip-open battery cover, the innovative streamlined shape with metallic finish also makes the iStick TC200W fashionable in appearance and comfortable.